Like so many other Cubans, the 42-year-old state photography shop employee thrilled at the president's vision of restored ties between the U.S. and Cuba. Families would reunite. A flood of American business would lift the stagnant centrally planned economy, fueling its slow path toward reform. Even as Obama spoke, an 80 percent surge in U.S. visitors was drenching state-run and private businesses with hundreds of millions of desperately needed dollars. 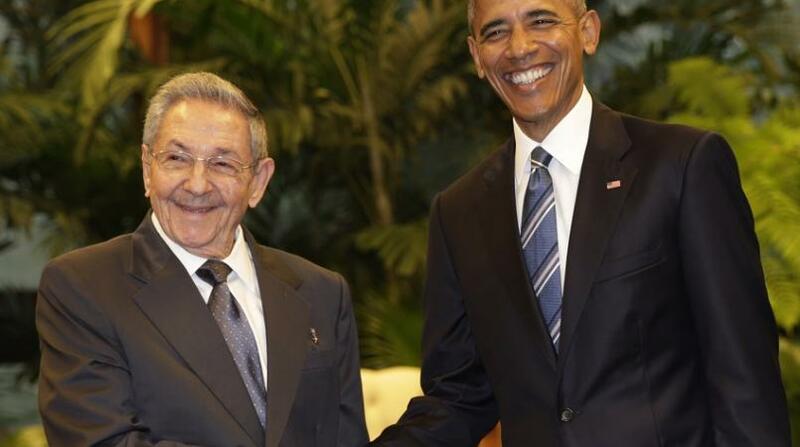 President Raul Castro faces what could be his toughest year since he took power in 2006. 2017 brings a possible economic recession and a U.S. president-elect who has promised to undo Obama's normalization unless the Cuban government makes new concessions on civil rights. Resistance to pressure from Washington is a founding principle for the Cuban communist system, making domestic concessions in exchange for continued detente a virtual impossibility. Castro must manage these twin economic and diplomatic challenges during a year of transition. The 85-year-old general has promised to hand over the office in early 2018 to a successor, widely expected to be Miguel Diaz-Canel, a 56-year-old official with neither the Castro name nor revolutionary credentials. The change will occur without Castro's older brother Fidel, the revolutionary leader whose largely unseen presence endowed the system he created with historical weight and credibility in the eyes of many Cubans before he died last month at 90. "Even if those two events hadn't taken place - Trump's victory and Fidel's death - 2017 was going to be a very difficult year for Cuba," said Cuban economist Omar Everleny Perez, a visiting professor at Keio University in Tokyo.